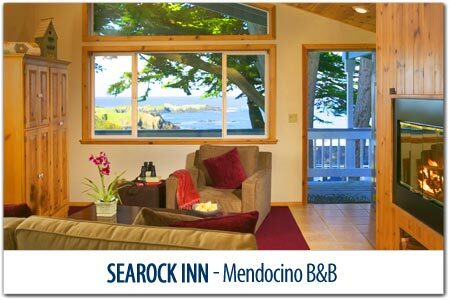 Mendocino, the crown jewel of Mendocino County is consistently rated "Most Picturesque Town" by Sunset Magazine. The Village of Mendocino is ideal for those who enjoy a picturesque stroll with interesting things to do, including quaint boutiques and stunning art galleries featuring local artists showcasing their latest creations. 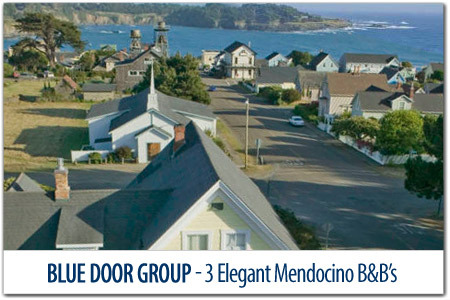 Many visitors who stay in Mendocino Village, just park their car and walk to the beach, restaurants and shops. 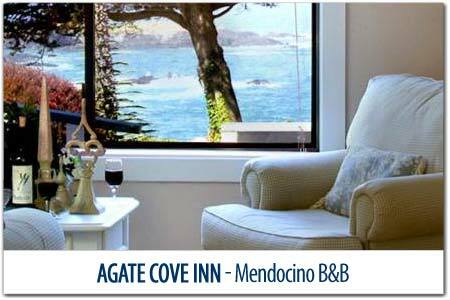 Mendocino Village stands proudly perched upon a small, slightly hilly peninsula on the ocean side of Highway One. Mendocino's front yard is surrounded on all three sides by the Mendocino Headlands coastal bluffs. It's open to the public and you're encouraged to explore the scenic trails with unobstructed views of Mendocino and the sparkling Pacific Ocean. 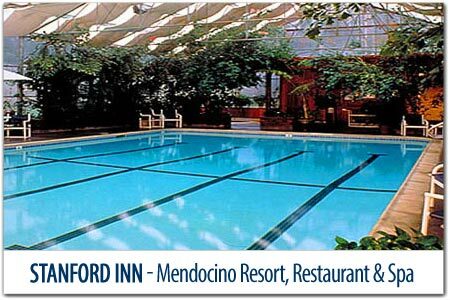 Big River and stands of towering majestic redwood forests make up our picturesque back yard. Mendocino was "discovered" by way of shipwreck. The Frolic, loaded with goods from China, struck rocks and ran aground just north of where the Point Cabrillo Lighthouse stands today. The crew made it into two life boats that ended up safely on Big River Beach. Some 8 months later, the search and recovery party headed by Jerome Ford, arrived to find the wreckage mostly gone, but he found wood, huge redwoods in fact, desperately needed to continue San Francisco's Gold Rush building boom. 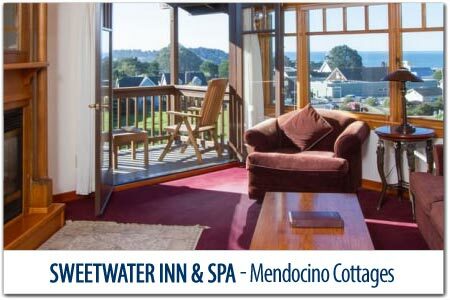 Mendocino is a picturesque seaside village best known for its romantic Victorians that have been lovingly restored into charming Mendocino Bed and Breakfast Inns, centrally located within a short stroll to world class Mendocino restaurants, unique shops and galleries, live theater and scenic beaches and bluffs just perfect for Mendocino Weddings. Did you know that the tallest and oldest living thing can be found in Mendocino County? Montgomery Woods is an ancient Redwood Forest that contains the tallest tree in the world. Jughandle is best known for its ecological staircase. Russian Gulch has two parts, the ocean side features the "Devil's Punch Bowl" and the east side has a scenic hike to a graceful waterfall. FAQ: People seem to be fascinated by the water towers that dot the skyline. Some ask, what are they, others wonder if they're still in use. While some have been converted into housing, most are still functioning as the water source for the building they serve. Water is pumped from the ground, into the water storage tank on top of the tower, then gravity fed back down creating water pressure. In this time of drought, it's important to appreciate and conserve the rain that becomes the water we use everyday.